My name is Tori, and I’m a cookie dough addict. I guess I have my great grandmother to blame for that one – she was always baking chocolate chip cookies with me as a child and she always let me lick the cookie dough off of the spoon, bowl, spatula, and anything else that had a trace of the sugary stuff left on it. I know that people always say not to eat it raw, but I honestly don’t have the willpower to resist having at least one spoonful every time I put my baking skills to use. Between working full-time and finishing up my master’s degree, I just haven’t had the time to bake some made-from-scratch chocolate chip cookies lately. It’s truly a tragic situation. So last month, I was walking in my local Fresh Market store and was perusing the aisles to see what goodies were there. I had just gotten back from a week-long work trip and was graciously given two days off to recuperate, so I decided what better way to spend part of my time than to get some good food?! A container of edible dough from the Cookie Dough Café! I quickly placed one of the pints in my basket and made a beeline for the checkout aisle so that I could rush home, rip the lid off, and dig my spoon deep into the deliciousness that was making my mouth water. As I took my first bite, my taste buds went into overdrive. I couldn’t believe that I had never heard of the Cookie Dough Café prior to this moment – where had it been all my life?! 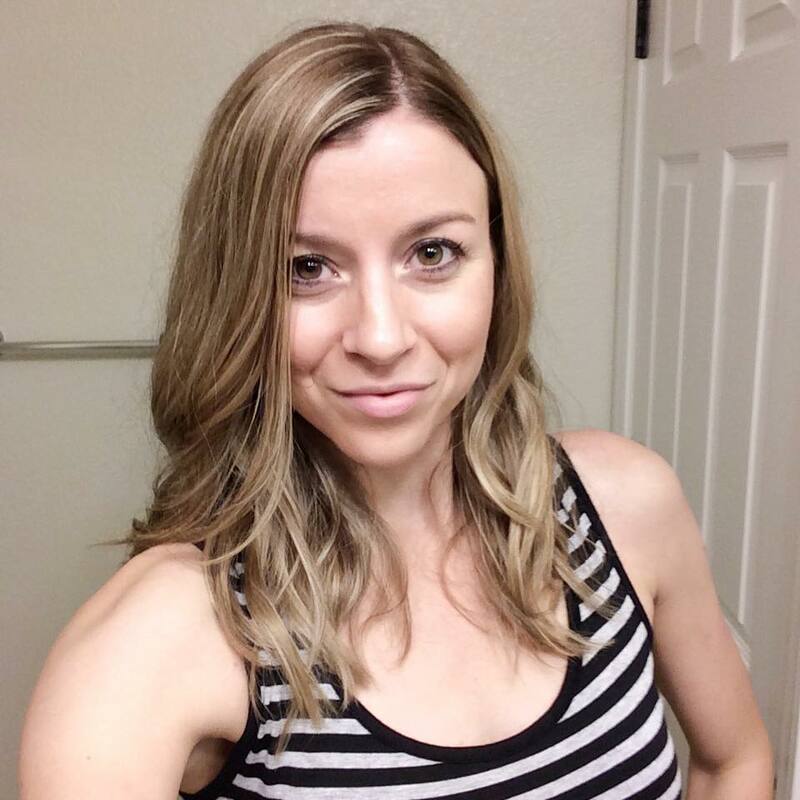 After doing some research, I found out that the company was started by two sisters and that it appeared on Shark Tank at one point (I don’t know how I missed that episode since I’m an avid fan about the show, but oh well). I also discovered that they had a variety of cookie dough flavors, including: Cookies & Cream (Oreo pieces anyone? ), Chocolate Chip (the classic), Monster (imagine peanut butter, M&Ms, chocolate chips, and rolled oats all combined into one amazing mixture), and Naked (for those of you who don’t want anything extra). I personally tried the Cookie Dough Café’s chocolate chip flavor and I was beyond impressed. You can trust me that this stuff is good – my great grandmother knew how to make the best cookies from scratch and this dough easily tastes just as good as hers did. Since there are no raw eggs in the product, you don’t have to worry about getting sick after eating it (unless you pig out too much and go overboard, of course). I also want to add that the Cookie Dough Café packaging is sleek and simple. You won’t find any crazy designs or anything here – just the words you’ve been waiting to set your eyes on: “edible cookie dough”. The pint-sized container is also a very durable plastic that is easy to hold and fit into even the smaller spaces in your refrigerator. When you finish off your delectable treat, you may want to wash out the container and keep it as storage for future leftovers or other foods/liquids since it’s so nice! Not ready to take on an entire pint yet? The Cookie Dough Café has released individual cookie dough cups for you to buy in packs of four! 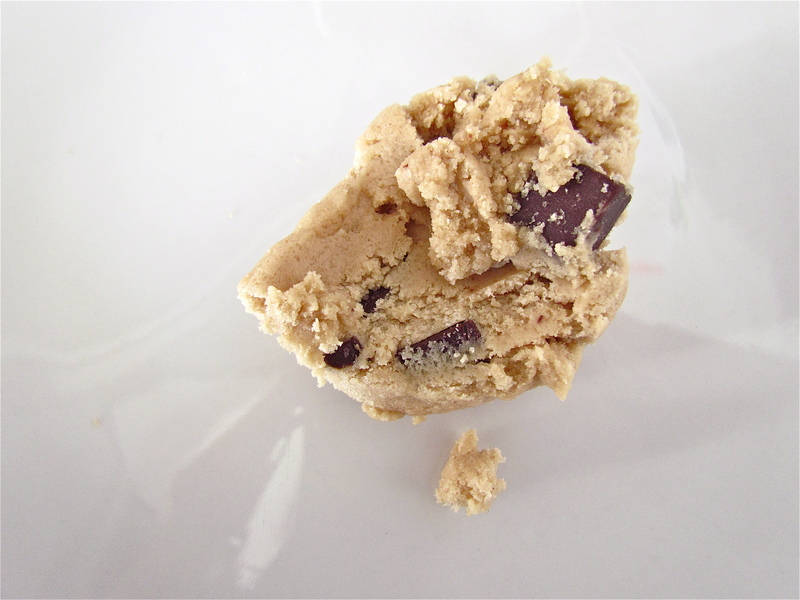 Online ordering was not originally available but has since been added to the company’s website, so even if you don’t live in a region that sells this awesome edible cookie dough, you can still enjoy this tasty treat when it gets delivered to your front door. I do want to add that the main downside to ordering online is that it’s a bit more expensive due to the shipping requirements that come with keeping a refrigerated item cold throughout the shipping process. 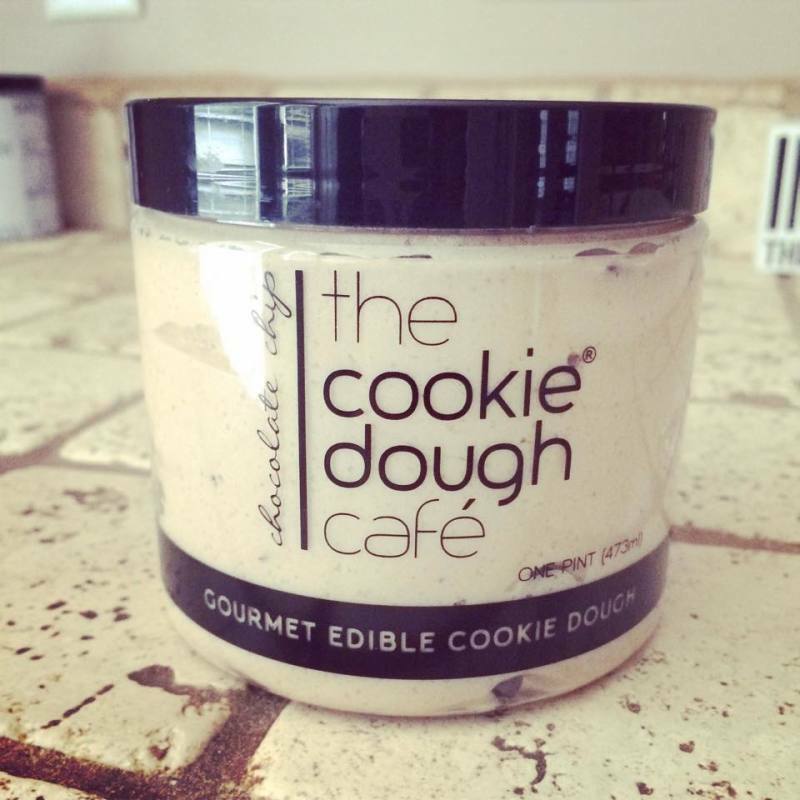 For those of you who are near a Fresh Market store, expect to pay around $6 for each pint of edible cookie dough. Yes, I understand that’s more than you could get a gallon (or two) of ice cream for, but I promise that if you enjoy eating cookie dough as much as I do, you won’t regret buying it. I give this edible cookie dough from the Cookie Dough Café a 9.5/10 – I’m only docking half a point because of the price and the fact that only four flavors are available at this time (but I’m definitely not complaining about the ones that are currently in stock).